6x10 'The Girl Who Waited' promo pics. . Wallpaper and background images in the Amy Pond club tagged: bbc doctor who amy pond karen gillan series 6 amy. 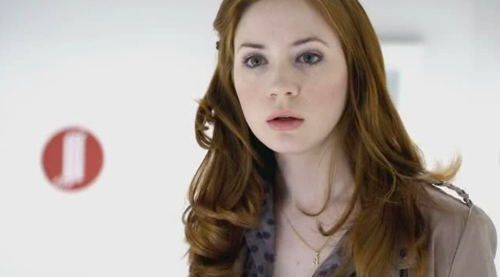 This Amy Pond photo contains پورٹریٹ, آرچر, closeup, تصویر, and ہیڈشوٹ. There might also be توجہ, اپیل, hotness آپ, جوش, اچھے کپڑے پہنے شخص, سوٹ, پتلون سوٹ, pantsuit, اچھی طرح کپڑے پہنے ہوئے شخص, and پنٹساٹ.